PAFA's Youth Council present works exploring Walt Whitman's complex and often paradoxical connection to personal identity. Walt Whitman had a complex and often paradoxical connection to personal identity. In celebrating Whitman’s legacy over two hundred years as part of the city-wide initiative to mark the bicentennial of the poet’s birth, this exhibition aims to explore these complexities. 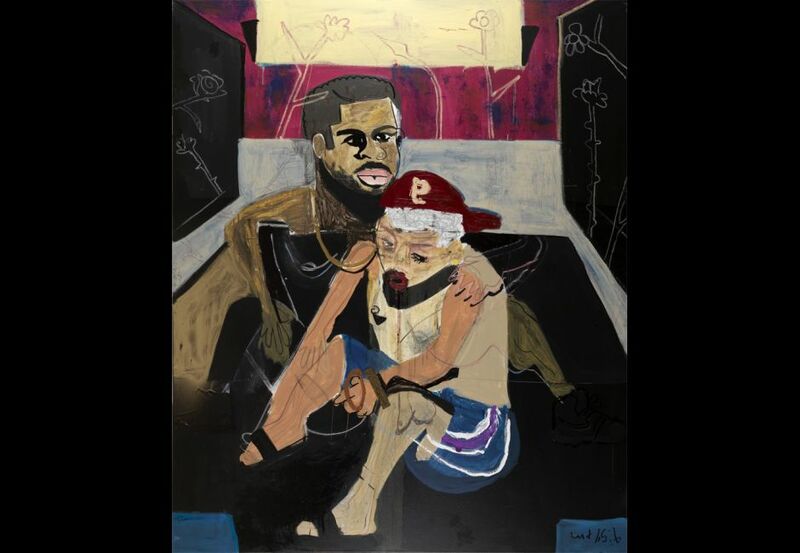 By juxtaposing figurative works of Whitman with a medley of historic, modern and contemporary works from the permanent collection, the Youth Council seeks to showcase a range of nuanced artistic interpretations of identity while calling into question Whitman’s and our connections to race, sexuality and nationalism. Walt Whitman seemed well aware of his contradictory nature, and in his seminal poetry collection Leaves of Grass, wrote, “Do I contradict myself? Very well then...I contradict myself; I am large...I contain multitudes.” In the spirit of the author, PAFA’s Youth Council invites viewers to ponder the questions: How do we express or conceal our own identities? What contradictions do we cling to? How do we connect with Whitman’s legacy while also acknowledging his opinions on race, gender and class? Works by canonical American artists Thomas Eakins and Andrew Wyeth alongside fresh, topical artworks by Christina Ramberg, Jonathan Chase, and Mark Stockton celebrate Whitman’s legacy while also challenging his value system. Through the repetition of masks and isolated figures, visitors are summoned to meditate on their own lived experiences as well as our shared identities. More details can be found here. Image credit: Jonathan Chase, Untitled, 2016.